Rather unfairly neglected due to being situated at the eastern edge of the city, and therefore often bypassed by sightseers heading for the likes of North Berwick or Dunbar. Craigmillar is a substantial and dramatic castle with plenty of history. It is featured on the cover of Gemini in its earlier and smaller form - Dorothy took great pains to make sure the artist was given the right dates to research how it looked at that time - and was the scene of the divining commanded by James III. It was extended in the 15th and 16 centuries. John of Mar was imprisoned there in 1480 and Mary Queen of Scots stayed there for a time after the murder of Rizzio in 1566 and it is believed that the conspiracy to murder Darnley was formulated there at that time. For anyone who has seen the promotional pictures for Dorothy's 1997 US tour, this was where the photographs were taken. Unfortunately she had flu at the time but the shoot couldn't be postponed, so she had to be well wrapped up and didn't look her usual radiant self. On the western side of the city lies the old village of Corstorphine. Just south of the main road to Glasgow, St John's Road, lies the Old Parish Church at which Dorothy and Alastair were married. 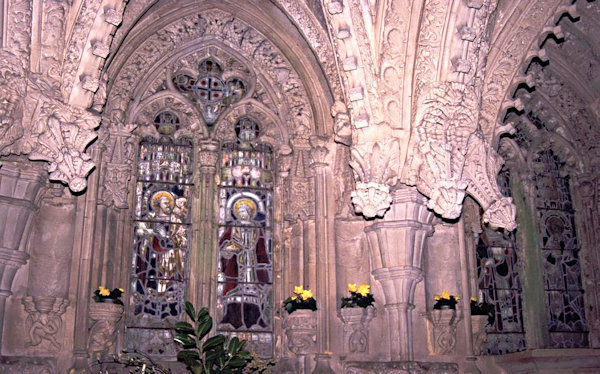 In the village of Roslin on the southern side of Edinburgh hides an amazing piece of church architecture and stone decoration which is famed throughout the world. 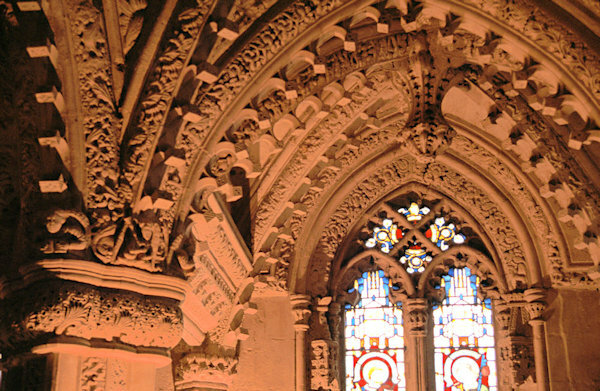 The chapel is closely connected with both the Knights Templar and the Knights of St. John and is the centre of much speculation as to what may be hidden in its vaults. Some of the more outlandish say that the Holy Grail was concealed there while other stories include a "lost Gospel" rescued from Jerusalem, and various suggestions have been made to open the sealed sections to search for them. Other even wilder suggestions put it at the centre of powerful spiritual forces indicating a gateway to another world. 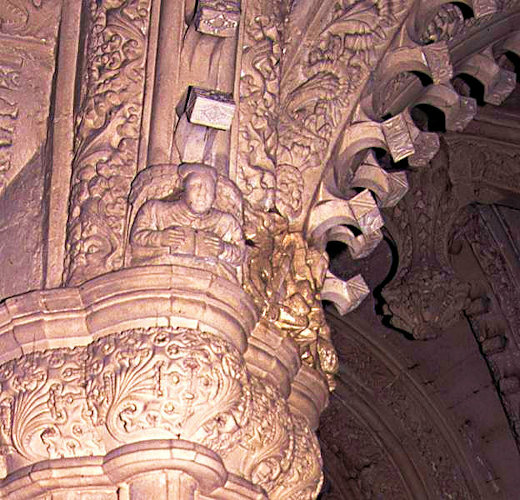 The real richness of Rosslyn is more than enough without these speculations - the skill and detail of the carving is overwhelming. 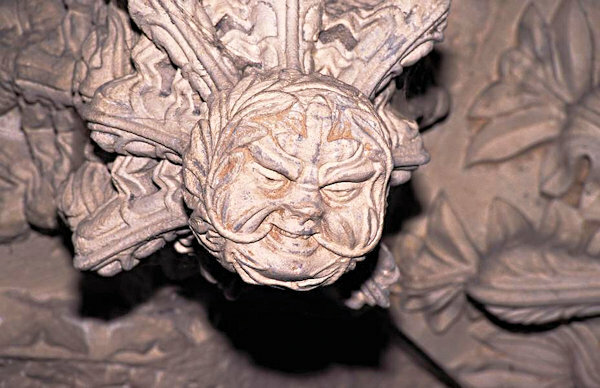 The famous Apprentice Pillar is well worth seeing in itself, its four strand spiral of foliage around a fluted column being a masterpiece of stone carving, while experts in masonic symbolism will enjoy checking the rest of the heavily decorated stonework, which abounds in figures, animals, green men, and flowers. 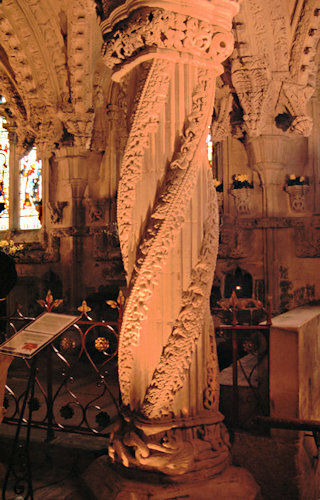 The Chapel features heavily in the early Scottish scenes in Gemini, including one of the most poignant. 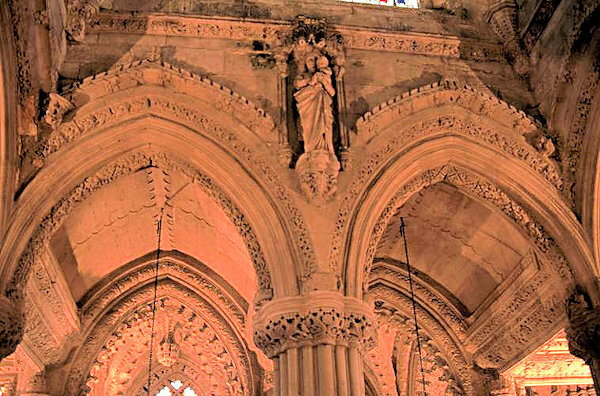 It has been comprehensively restored in recent years, having required a scaffolding "tent" covering for many years in order to dry out the stone roof - previous ill-advised treatments had locked in moisture rather than protecting against it. This meant that for a while it was very difficult to appreciate its exterior, though it did afford an opportunity to climb the scaffolding and see the roof from close-to. Happily that has all now been removed but the chapel is much more popular with tourists now due to it being featured in Dan Brown's novel and film The Da Vinci Code . Sadly this popularity has also led to a ban on interior photography after someone tripped up while attempting to take pictures, so my old slide film-based photos, taken on one of the early DDRA AGM weekend trips, cannot now be replaced with digital ones. Just down the hill from the Chapel sits Rosslyn Castle, which was built and owned by the powerful Sinclair Earls of Orkney and was the home of Nowie Sinclair in Gemini. It is situated over the lip of Rosslyn Glen with the River Esk flowing below on three sides. It is five stories high and the impressive bridge (don't look down if you're afraid of heights!) which leads down to it takes you to the top of it rather than the bottom as would be the case in most castles - an arrangement which makes it fiendishly difficult to photograph effectively. Indeed the old prints and engravings are often more effective to get a perspective on it. 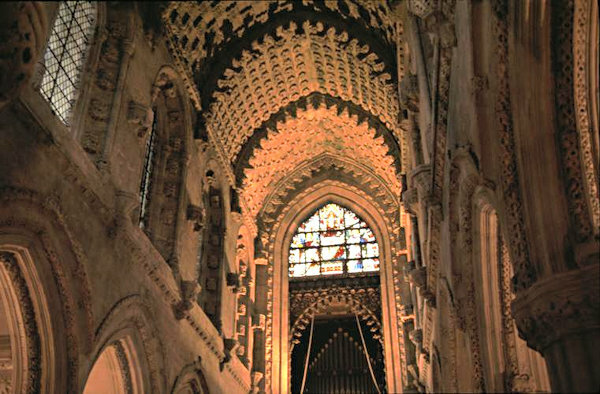 It was partly destroyed in 1544 by the English army and was largely derelict until 1982 when parts of the mostly 16th-17th century East range were conserved, along with some 17th century paneling, and this section is now once again being lived in. I understand that apartments are also available to rent as holiday accommodation. There are a number of paths and walks through the pretty glen which holds the base of the castle. I strongly recommend walking boots as the paths are steep and can be slippery in damp weather.